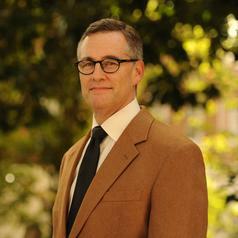 William D. Lastrapes is a Professor of Economics in the Terry College of Business at the University of Georgia. He has published many scholarly articles in professional journals in the areas of macroeconomics, monetary economics and time series econometrics. His work has been cited over 5000 times in Google Scholar and 1100 times in the Social Science Citation Index. In 2003 he was selected to appear in Who’s Who in Economics based on the number of his scholarly citations. He served as Department Head of Economics from 2002 to 2008, has taught classes in Lyon, France and Oxford, England, and is a visiting scholar at the Federal Reserve Bank of Atlanta. Professor Lastrapes earned his PhD in Economics from the University of North Carolina at Chapel Hill in 1986, and his BS in Finance from Louisiana State University in 1980. He was an Assistant Professor of Economics at LSU from 1985 to 1990, before joining UGA’s faculty in 1990.